We schedule final inspections before the auction starts to give potential buyers the last chance to check the property, the contract and the auction rules before committing to bidding. If you decide to bid, you will need to register if you haven’t already. During this process we will provide you with a registration number. Before bidding begins, the auctioneer will announce any required legal disclosures before. Then buyers will be invited to start bidding. If none are offered, the auctioneer will suggest a starting point. Once bids hit or pass the reserve price, the auctioneer will declare that ‘the property is on the market’. Any subsequent bid is a legally binding offer on the property. When potential buyers are no longer prepared to offer higher bids, the auctioneer will announce the most recent bid followed by ‘Going once…’. At this point, existing bidders may jump back in or new bidders may bid, in which case the auction process recommences. When the final bid is reached and the seller is happy with the price, the auctioneer will announce “Going once, twice, three times…” and if no more bids are offered the auctioneer will then bang the hammer and yell ‘Sold!’. No bids can be accepted after this point. The successful bidder will then be taken into the property for the next stage of the purchase, exchanging contracts. What happens if the property passes in? If the vendor declines to sell at the highest price offered, negotiations with the highest bidder begin in private. 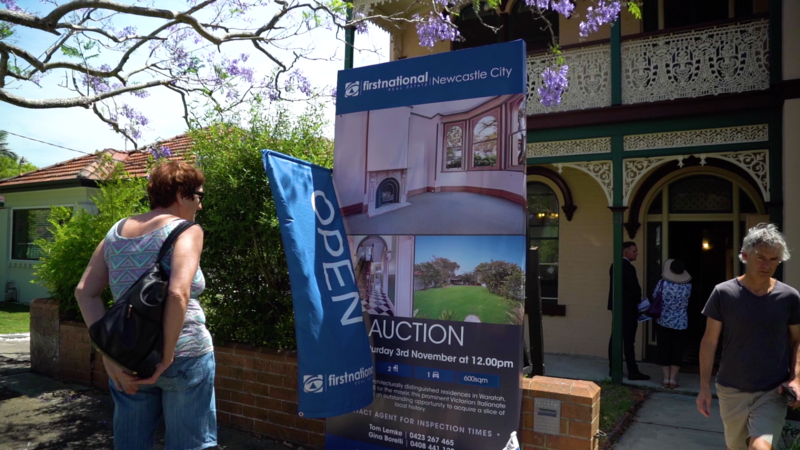 Make sure that you have your finance formally approved before auction day. Have a game plan for bidding – know when you’d like to begin bidding, what the sale price is likely to be, and what your price limit is. Stay calm. It's easy to get caught up in the excitement of the day. Use your research and budget to help you identify a ‘walk-away’ price. If you have any questions about buying or selling at auction, please get in touch. We're always happy to help. You can reach me on: 0423 267 465.